Nestled in the scenic Western Ghats, Kutralam (குற்றாலம்) is a popular tourist destination of South Tamil Nadu. Courtallam or Kutralam is a town situated at a height of 160 m (520 ft) above sea level in the foothills of the Western Ghats in Tirunelveli district of Tamil Nadu, India. The very name of the place has become synonymous with the thundering waterfalls that flow here. It is also home to centuries old ancient temples and other famous places of interest. Several seasonal and perennial rivers such as Thamirabarani, Manimuthar, Pachaiyar and Chittar originate in this lush region. The title “Spa of South India” fits perfectly for Kutralam due to the numerous magnificent waterfalls and the healing and medicinal properties of the water that flows here. This has led to the rise of numerous health resorts in and around this quaint town. The falls do not flow throughout the year and are highly dependent on rainfall. They carry substantial amounts of water when the rivers feeding the falls receive heavy rain. The best time to visit Kutralam is from June to September, when the South West Monsoon kicks off in the nearby state of Kerala. People are not allowed to bathe when the falls are flooded due to heavy rainfall. Kutralam is also known as “Ooty for the poor” due to its excellent climate that resembles the popular hill station Ooty throughout the year. This “Spa of South Tamil Nadu” is also known as Mukthiveli, Nannagaram, Pithur Kanda, Theerthapuram, Thirunagaram and Vasanthaperur. In Tamil the word, “Kuru aal (குறு ஆல்)” denotes a dwarf banyan tree. Since the forests of this area were full of such dwarf banyan trees, the region came to be known as Kutralam. In the ancient Tamil Literature, “Kutrala Kuravanji” (திருக்குற்றாலக் குறவஞ்சி), the famous Tamil Poet “Thiurkudarasappa Kavirayar” glorifies the beauty and magnificence of this town located in the South of Tamil Nadu near Tenkasi. He has composed songs on Kutralanathar and sings in praise of his love and affection for the Lord and the place. During the ancient Sangam period, this town was known as “Thenoor (தேனூர்)”. In Sangam literature, the natural beauty of this place is compared to the beauty of a woman. Kutralam has occupied a place in history as a scenic destination since ancient times. Tucked in the foothills of Agasthiyamalai, an off-shoot of the Majestic Western Ghats, Kutralam is a pristine town that is untainted by the industrial developments of other popular tourist destinations. The mountain ranges of Agasthiyamalai are named after the popular sage Agasthya (அகத்தியர்), one of the Saptarishis and the earliest Sidhar, is believed to have lived in this area. The nearest railway station is at the town of Tenkasi which lies at a distance of 5kms from here. The nearest airport is at Tuticorin at a distance of 90kms from here. 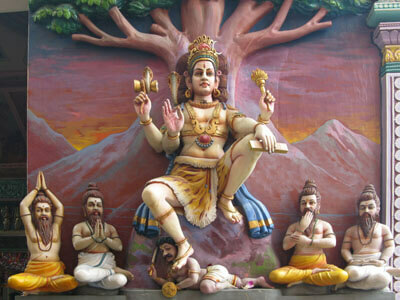 Kutralam is the focal point of several folktales and mythological legends spun around it. Several inscriptions in the temples here describe the reign of Chola and Pandya kings who ruled over this area. A very popular folktale goes like this. To witness the divine marriage of Lord Shiva and Goddess Parvati, all the other Gods and Goddesses conglomerated in the Himalayas. 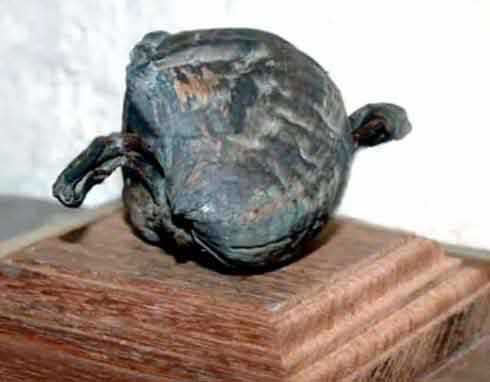 This caused a tilt in the Earth’s axis and Lord Shiva, ordered Sage Agastya to go to the South to restore the balance of Mother Earth. Sage Agastya was promised a divine vision of the holy wedding by Lord Shiva. 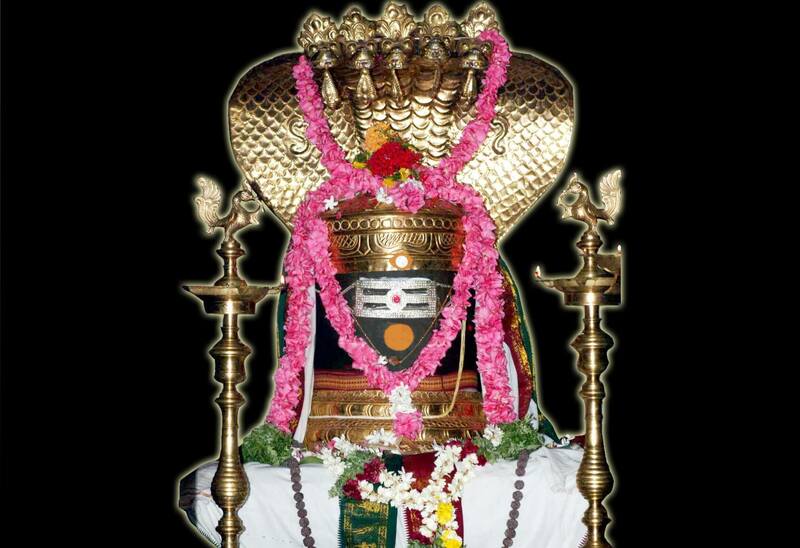 It is believed that Sage Agastya created the Shivalinga at this temple from an image of Lord Vishnu and hence the name Kutralam. The waterfalls in Kutralam are known far and wide for their healing powers. The rivers that feed these falls flow thorough uninhabited forests filled with Ayurvedic plants and herbs. The water accumulates the essence of these herbs and taking a shower in these falls is believed to cure all chronic aches and pains. People visit this town from all over India to shower in the refreshing and rejuvenating waters of Kutralam falls. There are nine major waterfalls in Kutralam. It is the biggest waterfall in all of Kutralam and is about 60m in height. The flow of the water is interrupted by a natural crater, Pongumakadal which is 19m deep. This crater reduces the impact of the water flow and the speed of the water is reduced, thereby making it safe for bathing. It is advised to drink a few mouthfuls of the water while bathing as the water is believed to have medicinal properties. The water is said to heal all digestive and urinary problems if one bathes in this waterfall regularly for six months. It is a ritual to indulge in a soothing body massage with sesame oil after having a shower. The waterfall is so huge that nearly 200 to 300 people can bathe simultaneously. The water flows through rocks with sculptures of Shiva Lingams and other Gods, making a bath in the falls truly a divine experience. This is a small falls that lies adjacent to the main falls. First timers who are scared to shower in the main falls can enjoy a soothing and milder shower here. You can reach the other falls like Shenbaga Devi and Thenaruvi by walking uphill from Chitraruvi. You can reach these waterfalls only by trekking through the dense Chitraruvi forest. 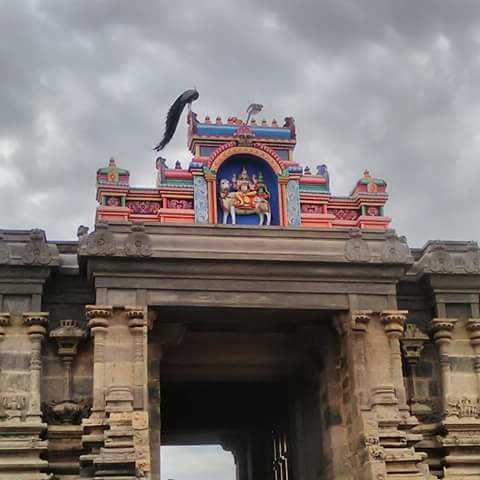 It is located at a distance of 2.5 kms and at a height of 40 feet above Chitraruvi. The falls are surrounded by pristine Champak trees that bear the fragrant Shenbaga flowers which are offered in prayer to the Shenbaga Devi Amman in the temple here. Hence this falls is known as Shenbaga Devi after the Goddess. During the auspicious day of Chitra Pournami (சித்ரா பவுர்ணமி) (the full moon day that occurs in the Tamil month of Chithirai) and on other full moon days a huge number of devotees visit this temple to seek the blessings of the Amman. You can find vendors selling garlands of Shenbaga flowers en-route to the temple. Entry to this waterfall is restricted during heavy rains owing to flash floods in the waters. This falls is for the adventure and extreme sports lovers. Located at a distance of approximately three kilometres from the Main falls, it is the first cascade in Kutralam. Hence the waters here are considered the most pure. The falls get their name from the several honey combs that lie on all around the hillocks that form these falls. Reaching Thenaruvi is truly an adventure by itself. It is at the end of a trail that winds through steep mountain paths and dense forests. Once you reach, you are treated to a breathtaking sight of the horseshoe shaped waterfall that falls from three sides into a pool. Before you can enjoy a shower, you have to swim across a small but deep pond. Entry to Thenaruvi is restricted during most of the year due to the strong undercurrents and flash floods in this area. 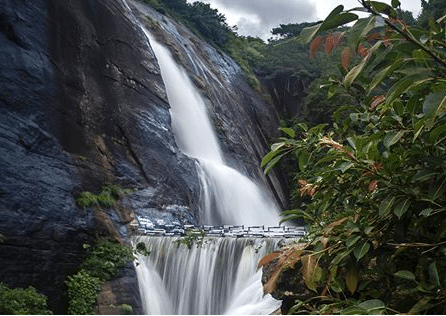 It is the most popular waterfall in Kutralam as it is delicate and suitable for people of all ages. From a bird’s eye view, the waterfall looks like the five headed mythical serpent, Adhisesha. The water flows down five different branches and joins together in a single stream as it flows downhill. Of the five branches, two are dedicated for women to bathe while three are for men. It is located at a distance of 4kms from the town centre of Kutralam and 6kms from the bus stand. There is a boat house and Eco Park nearby that is popular with tourists. There are several popular temples nearby such as Swami Ayyappa temple, Vinayaka Temple, Lord Muruga Temple and an Ayyanar Temple. It is nestled in truly picturesque surroundings above the popular Five Falls. This waterfall is popularly known as VIP falls as it could be visited only by politicians and bureaucrats. Others had to get permission from the Tourism Board to visit this scenic waterfall. However, entry to this falls is restricted to everyone now. The Horticulture Department has set up an Eco Park and Children’s park here. You can buy flowering plants and saplings for your home garden from the nursery here. Also known as Shivamathungai Falls, it is located at a distance of 4miles from the Main Falls. It is rarely frequented by tourists. This waterfall used to flow into a valley formed between two huge rocks. Later, the rocks were broken to change the course of the falls and to make it suitable for bathing. It flows from a height of 200 feet and steps are cut into the rocks to reduce the impact of the water. This makes it safe for bathing and there are separate areas for men and women. There are places near the falls where tourists can enjoy a soothing oil massage. This is a mild waterfall making it ideal for kids and old people. It is at a distance of 2kms from the bus stand and is situated on private property. The water from the falls accumulates in a lake and is sent along canals for irrigation. It was a watering hole for tigers during olden times hence it gets its name. A Sastha temple, a bathing ghat and a private palace lie near it. The water flowing down this 300 feet waterfall looks like a stream of milk. Hence this falls is known as Milky Falls. It lies on the Tamil Nadu – Kerala border at the mountain pass Aryankavu. The water flows into a small pool that is a perfect place to perfect your swimming strokes. There are separate sections of the waterfall reserved for kids and women. It is located at a distance of 10kms from Kutralam near Sengottai. The journey to these falls winds through green pastures and scenic surroundings. You can reach this place by travelling 2kms inward from the Gundaru Dam. Only sturdy jeeps or SUV’s can travel up the rugged mountain path to reach this waterfall. Apart from the tiny shacks selling fresh roasted fish, there are no other eateries all along the way. So carry sufficient drinking water and other food stuffs when you set off on a day expedition to this waterfall. For Rs.20 per person you can go on a boat ride on the waters of the Gundaru Dam. There is also a small children’s park nearby for kids to enjoy in some outdoor fun. This is located at a distance of 5kms to the west Sengottai Taluk Office at the top of the Gundaru Reservoir. There is another small falls above the Government Horticulture Park above Five Falls. However this falls is not open to public and entry is strictly prohibited. You can easily reach Main Falls, Five Falls and Tiger Falls by road. Other falls like Honey Falls and Shenbaga Devi can only be reached on foot by trekking through mountain paths. Don’t miss out on these unique components that make a trip to Kutralam complete. Freshly prepared and served hot, this lip smacking yummy sweet is sold at several shops on the way to Main Falls. It is a ritual for tourists to indulge in the ghee laden halwa after having a refreshing shower in the Waterfalls. Enjoy a delicious cup of aromatic milk brewed with spices. Served in tiny shops the masala milk is so soothing after a long shower in the falls. They are mostly sold in the evenings from 5.00 p.m. up till midnight. Drinking a glass of this milk makes you fall asleep blissfully at night. Nowhere else but in Kutralam do you find this accessory specially made for bathing in the falls. It is made up of pure organic cotton and is made of thin fibres. The cool breeze from the falls dries the towel quickly, so that by the time you move from one falls to another it is ready for use again. It is available in the textile shops around town and come in different colors and sizes. It is cheaper than regular towels so it is a must buy for tourists. You must not miss this park if you visit Kutralam with your kids. It is located on a hillock near the bus stand. There is a snake park near the children’s park. Studies prove that the water of these falls have herbal properties and have the power to heal several diseases. The water that flows through these hills carries the extracts of these herbs and rich minerals and flow down in the waterfalls. Over 2000 types of flowers and plants have been identified in these hills. Betel Nuts, Pure Honey, jackfruit, Rangosteen, Mountain banana, Dorian, Mangosteen, Custard Apple, Guava, Chikku, Mango and Gooseberries are a few of the fruits that grow on the hills of Kutralam. Rare herbs are found all over the mountains and in the farms dotting the hills.Several rare herbs are also grown on farms in the hills. It is not all about waterfalls but Kutralam is a popular pilgrimage centre and thousands of devotees visit the several temples in and around Kutralam. It is one among the five sabhas where Lord Shiva in the form of Lord Nataraja is said to have performed his divine dance. The Chitra Sabha at Kutralam houses several historical paintings on rural deities, mythical stories and other religious events. The other sabhas are the Thamira Sabha at Tirunelveli, the Kanaka Sabha at Chidambaram, the Velli Sabha at Madurai, the Rathna Sabha at Thiruvalangadu. The temple at the foot of the hill is conch-shaped which has special significance in Hindu tradition. The Kutralanathar Temple dedicated to Lord Shiva lies near to the Main Falls and a few kilometers away from the Chitra Sabha. 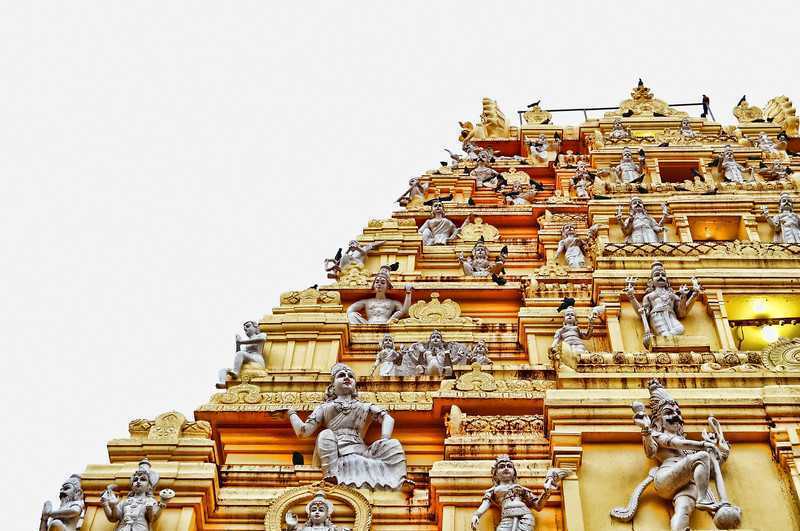 During the Tamil month of Chitirai (Apr 15 – May 15) a festival for ten days is held here. The festival ends with a special prayer on the auspicious day, Chitra Pournami (the Full Moon Day in Chithirai). Gundaru Dam. The huge expanse of water stored in the reservoir of the dam is a breathtaking sight. This tiny unassuming parotta shop at a distance of just five minutes away from Kutralam has a history of its own. It is a non-vegetarians dream come true and is famous among tourists who visit Kutralam. Rahmath Parotta Shop or Simply Border Kadai was founded by Mohammed Hassan and it is famous for parottas, chicken, country chicken and quail fry. It is located at Piranoor near Tenkasi. The country chicken is a must-eat dish here and the shop is easily identified by the huge number of patrons who visit here. There is an interesting story of this place that is linked with the history of the road on which it stands. It lies on the Punaloor border between Tamil Nadu and Kerala. Up till the year 1956, people and vehicles crossing the border here had to pass through a toll gate. The place came to be referred as Border and is still known by this name. This area became a pit-stop for truck drivers, passengers crossing the border and several parotta shops were started in this area. Of all the shops in this area, the border kadai had regular customers throughout the year. And this tiny shop has grown to become a major tourist attraction in the last 45 years. Raja Mohammed, the grandson of the founder, says that the popularity of this shop is due to the masalas that are made at home and their recipes are a closely guarded family secret. The chicken dishes are made from country grown chicken and the dishes are prepared using fresh coconut oil and pepper all sourced from Kerala. On any day, you can find this place frequented by film stars, ministers and other celebrities. Do not miss eating at this world-famous parotta shack on your next visit to Kutralam. If you were wondering on vegetarian options at Kutralam, or are looking for a lighter but tasty meal after indulging in calorie laden parottas and chicken at Border Kadai, then this is your spot. This small dosa shop is located on the road from Tenkasi to Kutralam, near a place called Melagaram. With a menu boasting of several varieties of Dosa, this place is a haven for Dosa lovers. Sambar, coriander, mint, tomato, coconut are the types of chutneys you are provided with your Dosa. Humbly priced, don’t miss out on this dosa paradise when at Kutralam. From simple bed & breakfast establishments to luxurious resorts, you can find a boarding house for every budget at Kutralam. The higher end hotels and resorts are located near to Main Falls and Old Kutralam. Tourists to Kutralam prefer to stay at Tenkasi, a town located in the foothills of the Western Ghats. This town lies close to the Tamil Nadu – Kerala border and this strategic location makes travelers prefer this town to stay. Historical manuscripts at the Thiru Kutralanathar Temple state that a team of medical experts was appointed by the East India Company in the year 1811. The team published the findings of their study on the medical properties and other special features of these waterfalls. The tea estates and other plantations at Maanjolai, Manimutharu and Oothu. All these plantations are situated at a height of 2300 to 4200 feet above sea-level. This waterfall is located at a distance of 32kms from Kutralam, on the way to Achan Koil in Kerala near Sengottai. On travelling through winding hairpin bends and through dense forests, you can reach this picturesque waterfall. There are a few Kerala State Transport buses from Sengottai that go till Achan Koil. Though you can go to this falls on these buses, it is more convenient if you can travel on your own conveyance. Each person is charged Rs.25 to enter into Kumbavuruti. It is mandatory for vehicles to have the Kerala driving permit and separate charges are collected as parking fees. There is a hotel in the parking lot that is famous among tourists. Parotta, Kadalai Curry, fried fish and boiled eggs are the popular food items here. The Hairpin bends, dense forests, mountain paths of Kumbavuruti must not be missed on your trip to Kutralam. So plan a trip to Kutralam and enjoy a refreshing bath in magnificent waterfalls. You can also visit several other places nearby like the famous Nellaiappar Temple at Tirunelveli.